Courtesy of M. Stagers Realty Partners, Karen Fraley. 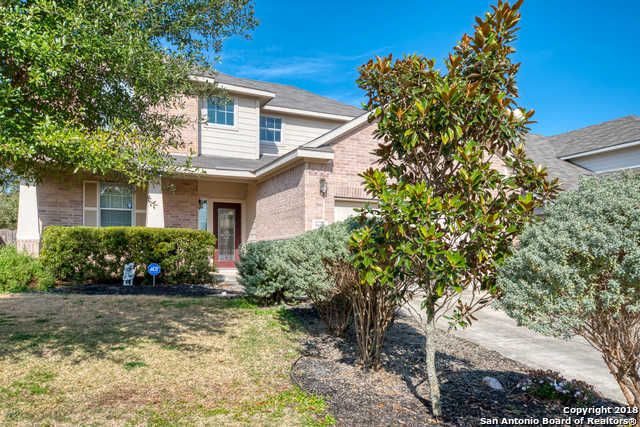 Desirable Alamo Ranch home close to shopping, 1604 & easy commute to Lackland AFB. Upstairs is loaded w/ gorgeous bamboo flooring throughout, a sizable game room & loft. Tile throughout downstairs w/ a lovely master suite bath that has separate tub & shower. Dining room off of the large living area. Gas cooking! Relax in the backyard underneath shade of the large oak trees or enjoy planting vegetables in the raised garden. Craftsman? You’ll love the huge powered & lighted workroom/storage building! Please, send me more information on this property: MLS# 1352565 – $237,900 – 5619 Wayne Path, San Antonio, TX 78253. I would like to schedule a private showing for this property: MLS# 1352565 – $237,900 – 5619 Wayne Path, San Antonio, TX 78253.